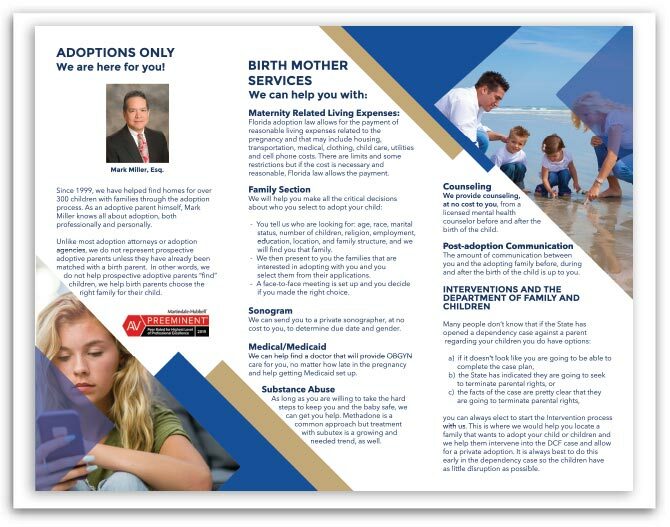 Adoptions Only (Ford, Miller & Wainer, P.A. ), is located in Jacksonville, FL. 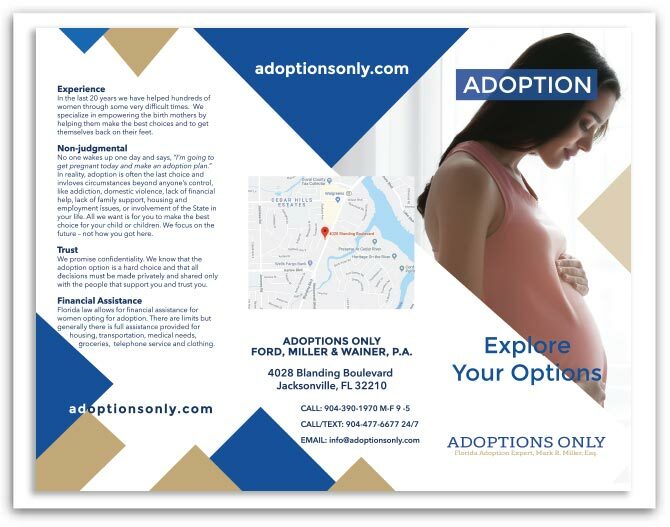 We developed this trifold brochure for Adoptions Only to add to their marketing collateral.